Great defensive efforts and clutch shooting performances propelled the first quartet to the Elite 8 in the NCAA men’s basketball tournament on Thursday. Here’s a look at how it happened. Playing against one of the top teams in the ACC, which means one of the top teams in the nation, was not immediately workable for Gonzaga. Florida State had too much talent and depth to be dismissed and if the Bulldogs wanted to reach the Elite 8, it was going to require a master class on resiliency and revenge. 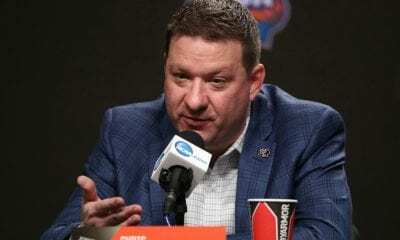 Last season, FSU defeated Gonzaga in the Sweet 16 and that sent the program reeling again, offering another piece of evidence it might not be strong enough to deal with teams from major conferences. Still, there was one fundamental difference from last year’s team and that was forward Brandon Clarke. And Clarke, the 6-foot-8 forward, had a great game, scoring 15 points with 12 rebounds and five blocked shots. You recall Clarke also scored 36 in Gonzaga’s second-round win over Baylor. Gonzaga needed Clarke because points were not coming easily. And FSU roared back from a double-digit deficit in the first half to raise a sweat. 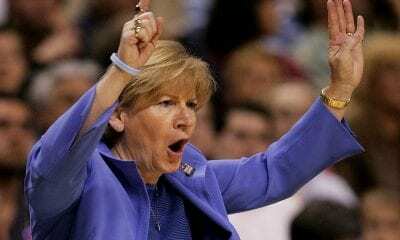 But over the final four minutes, the Seminoles scored only two points. “You know, they had a lot of offensive talent,” said Gonzaga’s Zach Norvell, Jr. “Trying to switch things up on them, contest every shot. … Early, they were physical. We wanted to be more physical than them, take the fight to them both on offensive and defensive ends, trying to switch up schemes and don’t let them get too comfortable. Like every team that’s made it to the Elite 8 to this point, defense has been a spark for Gonzaga. Its metrics now measure favorably with Texas Tech, considered the staunchest defender in the field. FSU’s Terance Mann and Mfiondu Kabengele combined for just 13 points after scoring a combined 88 points in first- and second-round wins. Admit it, there were times you thought neither team would reach 50 points. Unfortunately for the Wolverines, they didn’t. 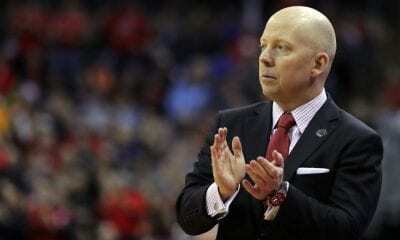 Last year’s national finalist was eliminated by a superior defensive effort by the Red Raiders, who now, maybe for a moment, might be considered stingy enough defensively to seek out a championship. That Texas Tech is a defensive dynamo is no surprise. They came into the Sweet 16 with the best defensive efficiency in the field and Michigan’s robust team was quickly submerged in the first half when it scored only 16 points. The 44 points were the fewest ever scored in an NCAA game by the Wolverines. They were 1-of-19 from three and didn’t make that won until only 24 seconds remained in the game. 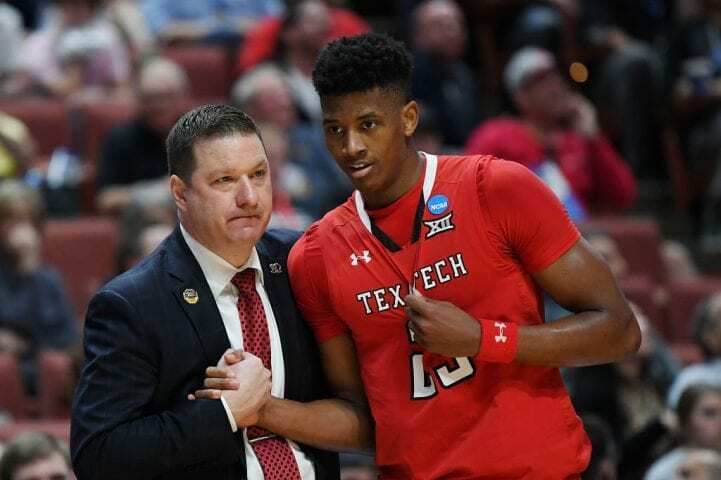 If you combine an effort like that with another big night from Tech’s star, Jarrett Culver, anything might be possible. Culver scored 22 points on Thursday. 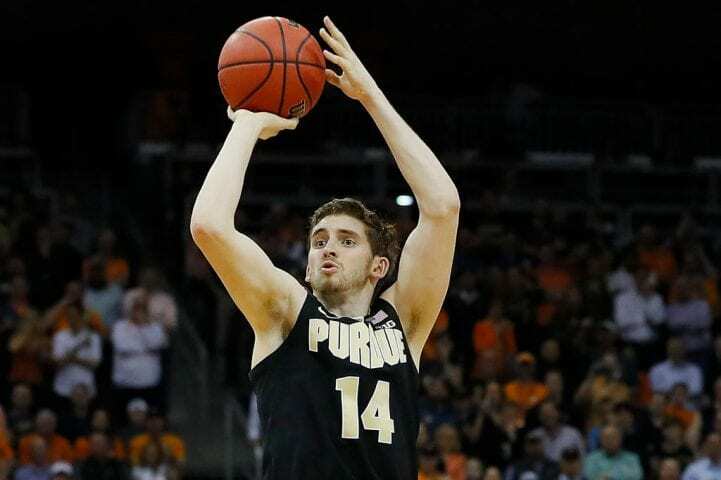 It’s going to take a tremendous effort from someone to surpass the shooting display put on by Boilermakers guard Ryan Cline in the final five minutes of the second half. Not only was Cline draining four improbable three-pointers, the ball was barely rippling the net on its way out. Cline scored 27 points, making 7-of-10 from three before fouling out in overtime. And it was that performance that kept Purdue within reach as Tennessee, formerly the nation’s No. 1 team, charged hard in the second half. Unlike Purdue’s 26-point win over defending national champion Villanova in the second-round, when Carsen Edwards exclusively led the way with 43 points, both guards were on point against the Vols. Edwards actually led Purdue with 29, including six in overtime. And had he made all three foul shots with 1.7 seconds left, after being fouled shooting a three, Purdue probably would have won in regulation. After missing the first, he coolly canned the last two. This was an awful game, even worse than Texas Tech’s win over Michigan which was officially somnolent. And when Louis King capped an 11-3 run by making a three-pointer with under six minutes to play, top-seed Virginia trailed by three and had no idea it would be able to push past No. 12 Oregon. It shouldn’t have taken that long, even against a team that hadn’t lost since Feb. 23. King’s hoop came with 5:33 to play and in that moment an upset certainly seemed plausible. But like Gonzaga against FSU, Virginia applied the defensive clamp down the stretch and did just enough offensively to make the difference. The Ducks did not score a field goal in the final 5:43 of the game. Eight minutes into the game, the score was tied at 7. The teams combined to miss 19 three-pointers in the first half and shot just 38 percent from the field. In a few weeks, those numbers will not matter to Virginia, which came to this tournament stinging from last year’s 1-16 upset by UMBC and then struggled again in the first round this year against Gardner-Webb, trailing by 14 in the first half. If the Cavs beat Purdue on Saturday, they will go to their first Final Four since 1984.